SCANDAL, the essential secret VITA afterparty, infuses New York City's fierceness into Tokyo's intimate afterhours culture for true clubbing professionals. We're breaking free with an independent SCANDAL, welcoming an overseas DJ for the first time in our biggest party ever. Come join us at AiSOTOPE in Shinjuku Ni-chome, the heart of Tokyo's gay town. 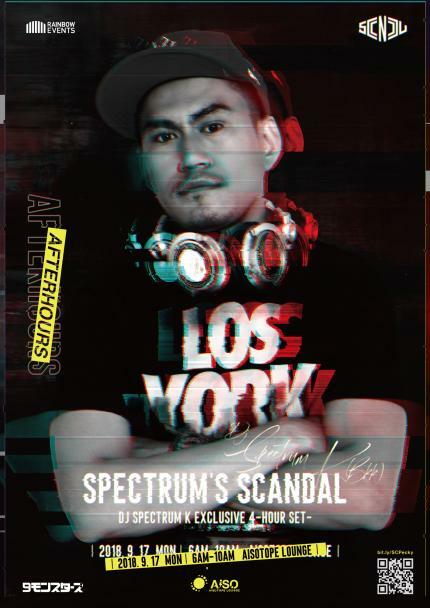 Get ready for DJ Spectrum K's exclusive four-hour set filled with a darker and sexier after-hours flavor.